The AXA DESIGN range of interface devices give you cost effective and simply integration between the Philips Dynalite protocol Dynet and a range of other protocols. Protocols such as RS232, RS485, DMX and GSM are all handled with ease thanks to clever hardware and a simplified software package. Everything from simple contact closures to full two way customisable RS232 strings, this range of interfaces has it covered. If it’s not already on the list below it’s probably being developed as you read this, so please contact us if you require a different solution. The AXA-TOM is intended for use where low voltage low current contacts are required to trigger third party devices like Gate Latches, Garage Door Controllers, Curtain Controllers, and Damper Motors. Two relay outputs are available, Relay 1 has a common, normally open and normally closed connection and Relay 2 has a common and normally open connection. Accommodates the latest in smart control and automation systems by being controllable via DyNet and RS485. The AXA-TIOM is intended for use where low voltage low current contacts are required to trigger third party devices like Gate Latches, Garage Door Controllers, Curtain Controllers, and Damper Motors. One relay output is available and one 5-12V DC input is available (optically isolated). The relay can be set to latching and the inputs manually interrogated. Alternatively the relay can be set to pulse and the internal logic will monitor input one and pulse the relay only if necessary. The AXA-TIOM is a compact device and as such can be installed in tight positions local to the devices it is providing an interface with, or alternatively in the main equipment rack. AXA Design’s AXA-DYN/232 has been designed to enable devices on a Dynalite network to control any third party equipment that has an RS232 serial port, e.g. data projectors, TV’s, AC plants etc. The AXA-DYN/232 is user customised to trigger RS232 strings upon receiving Dynalite ‘Preset’ messages. The user can specify an ‘Area’ & ‘Preset’ number which will then trigger a custom ASCII / Hexadecimal string on the RS232 port. 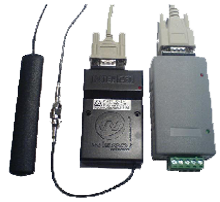 The user can also enter a description of the RS232 string for easy reference. The unit is also bi-directional so upon receiving an RS232 string it can be programmed to trigger a Dynet message as well. AXA Design’s AXA-DYN/485 has been designed to enable devices on a Dynalite network to control any third party equipment that has an RS485 serial port, e.g. data projectors, TV’s, AC plants etc. The AXA-DYN/485 is user customised to trigger RS485 strings upon receiving Dynalite ‘Preset’ messages. The user can specify an ‘Area’ & ‘Preset’ number which will then trigger a custom ASCII / Hexadecimal string on the RS485 port. The user can also enter a description of the RS485 string for easy reference. The unit is also bi-directional so upon receiving an RS485 string it can be programmed to trigger a Dynet message as well. The AXA-DYN/DMX enables devices on a Dynalite network to control up to 24 channels of DMX on a single DMX network. Multiple DMX networks of up to 24 channels each can be used with an AXA-DYN/DMX on each network. The DMX channel numbers are fixed from 1-24 but the corresponding control channels can be set to any area and channel number. 30 presets are available in each area which can be individually selected to simplify preset editing. The device is controlled via preset and channel messages and can report current preset and channel level status. Presets can be adjusted in real time and can also be modified without software by adjusting individual channel and sending a ‘save current preset’ message. The AXA-DYN/GSM is user customised using the AllComm software. The user can specify the ‘Area’ & ‘Preset’ number that will trigger the SMS message to be sent as well as the ‘Area’ & ‘Preset’ number and ‘Fade’ rate that will be transmitted back on Dynet when a specific SMS message is received. The AXA-232/485AV is intended for permanent installation between a Dynalite network and a 3rd party RS232 device and has removable 5 screw terminal ‘Phoenix’ connector for the Dynet connection and a DB9 plug for connection to the RS232 equipment. Common 3rd party devices include remote controls like RTI, AMX, Crestron etc. The unit is optically isolated and powered by 12 Volts DC from the Dynet network. It has a 12 Volt power LED to indicate network power and Transmit/Receive LED’s to indicate RS232 traffic in both directions. programming of infra-red codes via the PC application shown below communicating to a Dynalite network. Once the device is programmed it can be located anywhere in an installation. The RS485 port is used to control the playback of the Infra-red codes. IR codes can be sent to any signal or combination of the 8 independent Infra-red outputs. AXA Design’s AXA-DYN/2×0-10 has been designed to control any devices that require a 0-10VDC control signal e.g. LED drivers, curtains etc. 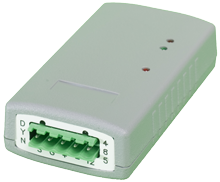 The AXA-DYN/2×0-10 is designed to work on a Dynalite network. It provides two 0-10VDC analogue outputs with the levels being settable via Dynet preset and channel level messages. The unit is particularly useful when only a small number of analogue outputs are required and is typically used with dimmable light fittings that have a 1-10VDC input for control.